Detailed information on using essential oils for soap making. 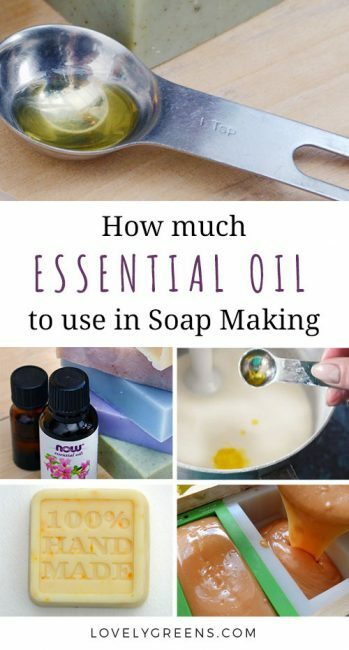 Includes max usage rates and how many teaspoons of essential oil can be used in a soap recipe. If you want to naturally scent handmade soap, you need to use essential oils. These highly scented flower and plant essences are natural but in such high concentrations that you need to be careful with them. If you use too much you’ll not only waste money but your soaps could cause skin irritation. 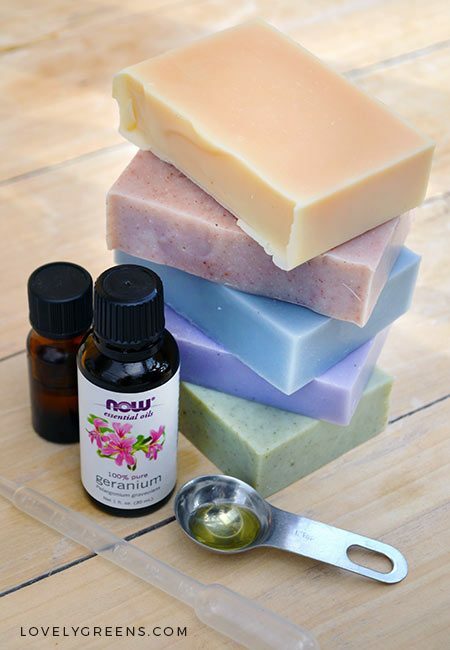 There’s some confusion as to which essential oils can be used in soap making and how much of each you can use. I’ve listed some of the more common essential oils below along with how much of each can be used in a batch of soap. 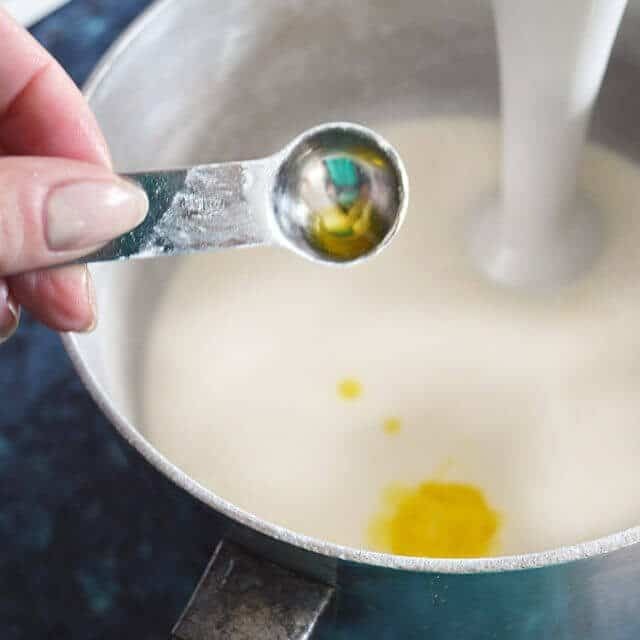 The information includes maximum percentage in a recipe, maximum amount in ounce and grams, and also how much in teaspoons can be used in a one pound batch of soap. 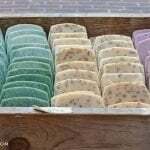 If you’re new to making your own soap have a read through this free four-part series from Lovely Greens. 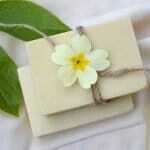 It includes all the basic information you need for natural soap making. How much essential oil can be used? 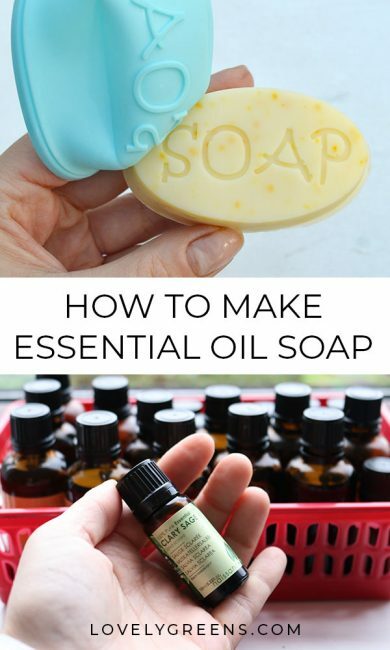 It’s tricky to answer just how much essential oil can be used in soap recipes. I’ve seen different recommendations but base my own soap recipes on what the stricter European Union outlines. Just remember that just because essential oils are ‘natural’ does not mean that they are always safe. Using too much in soap can cause all kinds of issues including skin irritation and photo sensitivity. 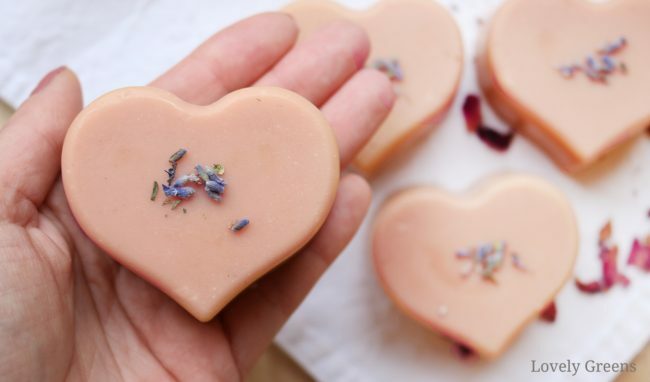 You can’t be too careful if you’re making natural soaps to give to loved ones or the public. All the naturally scented soaps I make through Lovely Greens Handmade use less essential oil than outlined below. In my opinion, there is no need to exceed the maximum usage rates set by the European Union. I spent quite a lot of time calculating teaspoon amounts for the essential oils in the chart. They are based by calculating first calculating the maximum amount of essential oil in grams that can be added to one pound soap batches. Please note that some essential oils have lower rates than others. Then using the specific density of an essential oil I calculate how much you can use in tsp. Most people like to use teaspoons to measure essential oils but I’ve also listed weight for convenience. For example, in a 1lb (454g) batch of soap you can use a maximum of 3% lavender essential oil (Lavandula angustifolia flower oil). The specific gravity of this oil is 0.905g/ml. 0.905g/ml describes how much lavender oil weights by volume. Dividing 13.62g by this number will give you how many ml of lavender oil you can use in the recipe. In this case, 15.05ml. Please also keep in mind that the total amount of essential oils in ounces or grams should not exceed 3% of the soap recipe. Some essential oils should not exceed 1% or 2% of the total recipe so please be careful. The EU considers an essential oil usage rate of 3% or less to be safe in wash-off products like soap. For clarification, that 3% of the total amount of soaping oils in a soap recipe by weight. 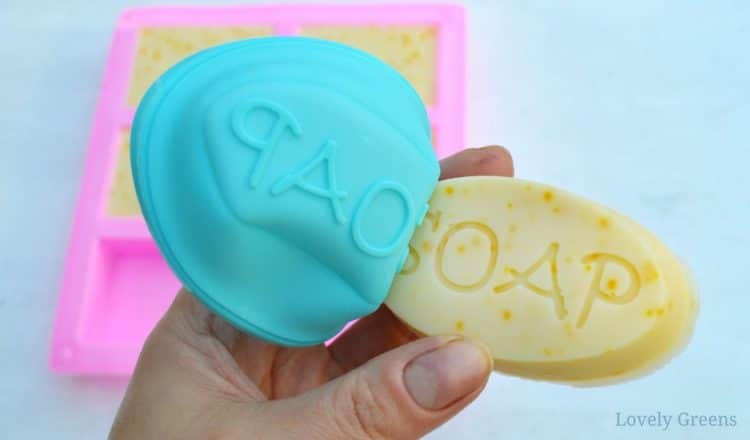 3% of a one pound batch of soap is a total of 0.48 ounces or 13.6g. This chart includes many of the most commonly used essential oils for soap making but there are others too. Before using any essential oil, please do research on how much can be safely be used in soap. The amounts in teaspoons listed are rounded down to the nearest 1/4 teaspoon. You’ll also notice that the teaspoon amounts will differ between essential oils even if the oz/grams are the same. That’s because some of the oils weigh more than others. Visualization: a cup of feathers weighs less than a cup of lead. Some essential oils are heavier and thicker than others that are thin and light. Max% recipe* — this is the total percentage that this essential oil can be added to any soap recipe. Max tsp PPO* — this is the maximum amount in teaspoons that this essential oil can be added to a one pound (454g) recipe. Max PPO* — this is the maximum amount in ounces and grams that this essential oil can be added to a one pound (454g) recipe. You stir essential oils into your soap after it thickens to a light to medium ‘Trace’. This happens after you add the lye-water to your soaping oils and you begin mixing. 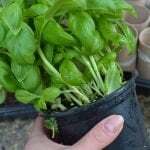 You can add them earlier but some say that some of the scent doesn’t make it through the process. 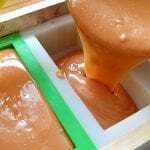 A light ‘Trace’ means the soap is the consistency of runny honey, medium is the consistency of custard, and a thick trace is so stiff that it will hold its form. Watch this video to see what Trace looks like. This is actually good. But I want to get more information. Hi, thank you for the information about using essential oils in cold press soap. Not all essential oils are equal but the amount specified in this piece are standard for the type. Better quality essential oils are made from higher quality plant material and better processing methods. Thank you for sharing this chart and explaining the process. I am a candle maker by trade and now dipping my toes into cold process soap. I have looked at fragrance calculators online (US ones) and from my experience of candle making I know not to necessarily follow what makers do in other countries. The calculators I have come across seem to base the amount of essential oil (or fragrance oil) on the weight of the oils in the soap and not the total weight for the soap batter. My question is, do I calculate the 3% from the weight of the oils, or the total batter weight (including the lye/water weight.) Many thanks! It should be calculated as the percentage of all the ingredients in the recipe except the water. Most of the water evaporates out of your soap after you make it but before you use it. Many thanks! That makes perfect sense. In the EU you may use Nutmeg essential oil in up to 0.08% by weight in handmade soap made for retail. Providing you have the proper cosmetic assessments, cosmetic insurance, and have submitted the product to the EU cosmetic database. I generally use the EU guidelines for all my handmade soap, regardless of whether they are destined to be sold or not. This was very helpful. Thanks for it! Thank you for this very useful and informative article. Question, if you use photosensitive oils (i.e. bergamot, lemon, citrus oils) as ingredients in soap or facial wash, etc… does the rule on non-exposure to direct sunlight after use apply? Or does this only apply to roller blends? It’s not the same as in leave-on products. Unless you have VERY sensitive skin, ou’re perfectly fine to go out in the sun after using a soap made with citrus oils. Most of it washes off in the bath or shower. What about prcentage of essential oils dor children 7 and up and 4 years to 7 years? All base on soap weight? I’d say the standard amounts are fine for kids but choose essential oils that are more sensitive. Lavender for one. It might actually be better to make unscented soap for kids though anyway. Many thanks for the info! Very helpful. Thanks for sharing such a important information. This is really useful and helps a lot. I want to say Thank You again. In my experience, some essential oil scents are difficult to maintain in soap especially citrus oils. Do you prefer to CP or HP your soaps and do you add clays to help fix them? 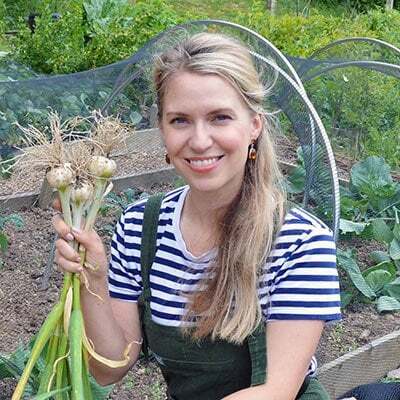 There are a few things that can help fix the scent of essential oils — clays, orris root powder, and even oatmeal pieces in my experience. Some essential oils are more tricky though — lemon, orange, and tangerine can fade quickly. I don’t tend to use them in cold-process soap unless they’re fixed with another essential oil like Litsea cubeba. Even then, they do fade a bit. I have never made soap before and am wondering how do you go about getting your soaps seen by a chemist and what sort of charges would they be . Many thanks and a wonderfull website on the many different things you do. The way it works in the UK is that you send your recipes to a chemist who offers the service. They look over them and certify that they’re safe and within regulations. After that, you’re able to get insurance and to legally sell your handmade soap (and other bath/cosmetic products) to the public. Legally you cannot sell soap or personal care products to anyone in the UK and European Union without a Cosmetic Safety Assessment by a EU certified chemist. I am having little confusion in soap making if I want to try some essential oil blends in soap making ,for example lye,water, coconut and olive oil all together if I trace and weight for small batch 100 gm to test the essential blends how much I should measure it , in drops or tsp or in gram ,plz guide me and also natural clay how much I should add for 100 gram I can multiply for big batches. Past 1 year l am learning and reading kindle books and watching YouTube still little clarification needed. Hi Jaya — Tanya here (no Sarah :). When calculating a recipe technically, you should always measure by weight, not volume. However, it’s easier to measure out essential oils in teaspoons and Tablespoons while making soap. If you want to make a perfect 3% essential oil recipe, pre-measure the oils on a micro-scale and then afterwards measure the volume amount. Different essential oils will have a different volume measurement for the same weight. Would the amounts be the same when using a melt and pour soap base? Hi Helen. Thank you for the info. But which EU law are you applying? (‘The EU considers an essential oil usage rate of 3% or less to be safe in wash-off products like soap’). I am looking at the EU regulation at the moment and couldn’t find it. Would you mind share the link with us? I used more than 3% EO on my soap. Who’s Helen? As for the 3% rule that’s regulated by the chemists who create safety assessments. You cannot legally sell handmade soap to customers in the EU without having your recipes certified by a chemist. This 3% rule comes from my own chemist. Hi Tanya. Sorry about that I got your name wrong. 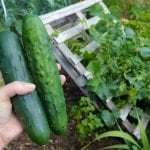 I need more help here. Where can I find the regulation saying that ”we are not allowed to sell soaps without having a chemist certification” under EU laws? So are you saying that all the handmade soaps in the market without chemist certification is illegal? It is really shocking that so many people are unaware of the law. As well as having to get each and every recipe safety assessed, you also have to use “stamped for trade” scales to check the weight of your end product. Kitchen scales, however accurate, just won’t do. It’s an expensive business getting started, that’s for sure, even more so if you want a variety of different products in your range, as each must be separately assessed. There are also strict laws about labelling and declaring ingredients. Try the Guild of Craft Soap and Toiletry Makers for more advice. I love your site. It is wonderful. I am trying to mix my own essential oils. Can I mix just two flavours? Or must it be top, middle and base? When it comes to mixing your own oils, it’s completely up to you! The top, middle, and base recommendations are purely a guide. There are many middle-top and middle-base blends that work well. I have probably done this all wrong. 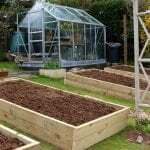 Please could you give me some advice. Also are these percentages based on grams? Example 30% lavander is 0.24= 0.24.5 grams or Oz. Sorry confused maybe a soap recipe of yours would be ideal as an example . Hi Becky! Have you ever tried the toothpick test before? It’s a way of testing an essential oil blend before making an entire batch of soap. In your case, get five toothpicks. Each toothpick has two ends which you’ll dip into essential oil and then place in a sealed bag. Seal it up and then in a minute or so, have a smell to see if you like the blend. If you don’t like it, try again. As for making up the last 10% of your recipe, it’s completely up to you. You can choose a base note like cedar or ginger, or bulk up your middle note essential oils to cover the difference. Thank you for posting this information! I’ve been trying to find something like this forever and i’m glad I stumbled across it over on Pinterest! I’m going to tuck this info away for the next soap making day!! ‘m a little confused. If I used three different essential oils in one pound of soap, the combined EO should not exceed 3% of 16oz or each EO should not exceed 3%? Also, the note chart doesn’t equal 100%, so that’s confusing to me too? Hope this helps: 3% of 16oz is 0.48oz — that’s the total amount in weight of essential oils you’d use in this particular recipe. I refer to this page allot. Thank you so much for writing this article. Hello! I just discovered your site and love it!!! I am brand new at this soap making craft and am very excited! The Essential Oil for Soap Making Chart is great, is there a way to print this chart? I tried to simply copy and paste, but it did not work. I appreciate your information and time that you have put in for this site. I look forward to hearing from you. Hi Angel and happy to welcome a beginner soap maker 🙂 I don’t yet have a printable version of this chart but I’ll look into creating one. Stay tuned! You are an angel! Thank you so much for the specificity of your directions as well as sharing helpful hints. As someone who has scoured the internet and books for clear direction, it has to be said, you are the Harvard of teachers in soaping. Bless you! You’re so welcome Arian — happy soaping! To Gel just means to intensify the color and make the soap a shinier, less opaque tone. If you don’t gel it will be opaque and much more toned down in shade. Both can be beautiful! Thanks for your extensive post today. I have to admire your beautiful soap colours. I am a soapmaker, and have tried several methods to get those bright clear colours. Including infusions, adding color straight to lye water and using the whitest oils possible. Any suggestions? Hi Helen! The method for using each natural colour is different and variations will occur based on how much you use, temperature, introduction method, introduction sequence, whether the soap gels or not, colour of oils, colour of essential oils or fragrance oils, and quality of the substance used. It’s all about trial and error to get the right shade.